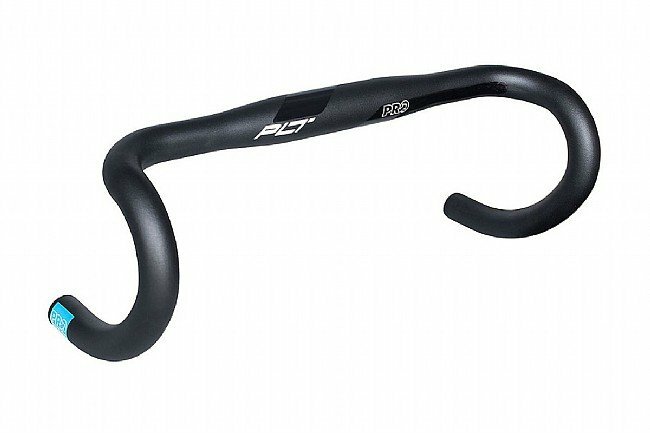 The PRO PLT Compact Handlebar features a shallow 125 mm drop and a shorter reach for making all positions on the bike more comfortable. Double-butted AL-2014 alloy construction provides excellent strength at a light weight, and the round bend creates an infinite amount of useable positions when riding in the drops. 31.8 mm clamp diameter. Sizes are measured center-to-center. Claimed weight is 255 g (36 cm width). Great handle bars for the money. Comfortable short reach works well if you pr prefer the hoods ti the drops.